You’ve come a long way. You’ve made sacrifices, built careers. Now you’re ready to balance privacy, luxury and the opportunity to socialize on your terms.Picture weight rolling off your shoulders as you approach this sleek structure blending into the desert backdrop. Park in the three-car garage and enter the serene simplicity of the split four-bedroom home opening up to 3,400 square feet of refined living.What feeds your soul? It’s the peaceful mountain views and breathtaking sunsets. It’s the telescopic glass doors that make desert living seamless all the way to the edge of the heated pool. It’s the flawless kitchen, the sumptuous master suite, the two private en-suite bedrooms for your guests.Come see how this lovely home can enrich your life. It’s time to reap your rewards. Directions: East on Cave Creek Road, North on Desert Mountain Parkway to Guard Gate. Guard will provide directions to Mountain Skyline Lot 24. Approximate size: 31518.00 sq. ft. Please, send me more information on this property: MLS# 5906928 – $1,095,000 – 39704 N 100th Street, Scottsdale, AZ 85262. 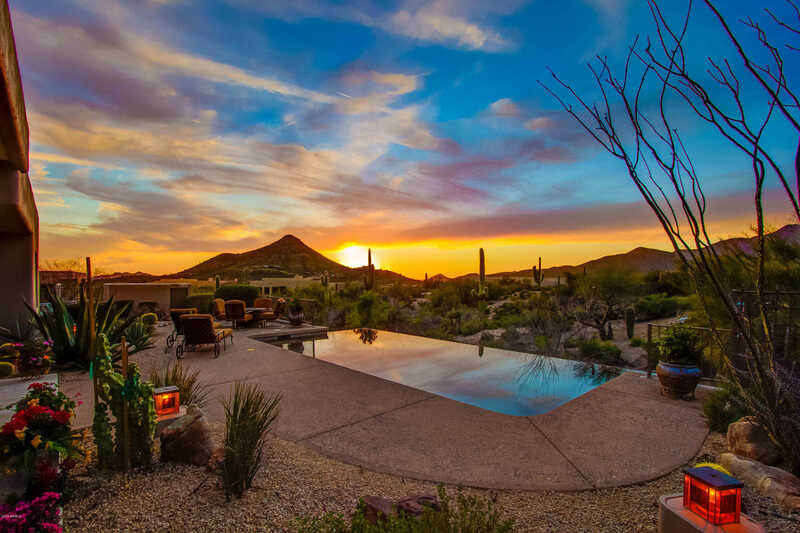 I would like to schedule a showing appointment for this property: MLS# 5906928 – $1,095,000 – 39704 N 100th Street, Scottsdale, AZ 85262.